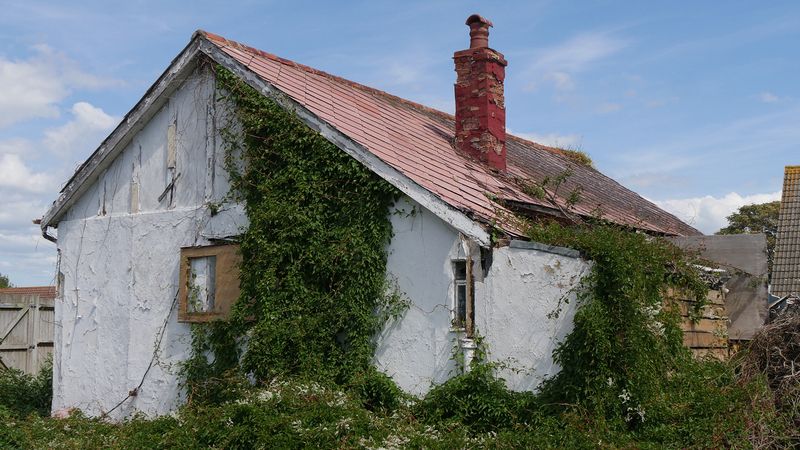 Insitu SCP provides a full preservation and restoration service for the treatment of woodworm, structural damage, masonry repairs and timber decay in properties of all ages in the South East of England. At Insitu we provide a friendly and reliable service for the treatment of woodworm, timber decay and penetrating damp as well as wall tie replacement, structural repairs and basement waterproofing. In a world as fast paced as ours, and with so many damp proofing websites shouting that they’ll fix all your problems for “free”, sometimes, it’s just easier to call for a chat over the phone and describe your damp issue, prior to booking a survey. You can then make your own mind up as you speak to one of our surveyors and listen first-hand to their evident enthusiasm for all things damp. We can proudly say that we all love our vocations. One of our surveyors in particular is a keen naturalist and collects various funguses and wood boring insects; he even grows dry rot in a fish tank and films it. This isn’t just a ‘job’ to us, it is a combination of science and nature and we all enjoy both subjects immensely. We are not a start-up, mobile operation offering “free” surveys. We are a well established company and a highly regarded building preservation company whom are recommended by local authorities, architects, surveyors, estate agents, and most importantly, word of mouth. We do charge a small fee for our services and for what you receive in return, we value that as a very good deal. We are a very people friendly company and get along with everyone we meet. Together with our many years of knowledge and helpful damp solutions, we can proudly say that we’ve never had an unhappy customer. We like to see ourselves as the peacemakers between homeowner and Mother Nature. INSITU SCP has a great understanding of a damp house and the unwanted stress it can cause to the homeowner. We can locate, diagnose and solve a diverse range of issues. We can even offer a monitoring service post survey so to keep an eye on fluctuating damp issues that need more consideration. Wet Rot (Coniophora puteana) is a less serious and damaging problem than dry rot. If you have a basement, cellar or other room which is below ground level or where external ground levels are next to internal floor levels it will require waterproofing to prevent water from entering your home. Failure of a lintel will be due to either decay, fracture or loss of support. Our complete preservation and restoration service includes the treatment of woodworm, timber decay and penetrating damp; as well as wall-tie replacement and the structural repair and reinforcement of masonry. We are members of the Property Care Association which is the premier trade association whose aims are to maintain integrity, reliability and technical competence within the remedial treatment industry. Trustmark is an initiative between Government consumer groups and industry designed to help consumers find reputable firms to do repairs, maintenance and improvement work in the home. At Insitu SCP the corner stones of our business are: Our expertise Our independence Our personal approach Expertise With more than 40 years combined experience, few others can match the breadth and depth of our expertise. Our experienced technicians have recognised training and accreditation in their field. We match our skills with investment in up to date equipment and provide an efficient and professional service to commercial and domestic clients alike. Independence We are approved contractors for all leading manufacturers, which means you can be assured that we will choose the right solution for your problem: a solution that will deliver effective and long lasting results. Personal approach Discovering that you have woodworm, dry rot or any other form of decay or structural damage in your property can be a worrying experience. Using our many years of experience, we will help you understand the root causes of the problems in your property and then produce a comprehensive report with recommendations on the appropriate treatment. We will happily explain and discuss the contents of the report with you. You will find us helpful, well informed and able to talk a language you can understand. When we are in your property, we remember that it is probably your home as well. We work quickly, effectively and with minimum disruption; which includes making good all evidence of our visit.